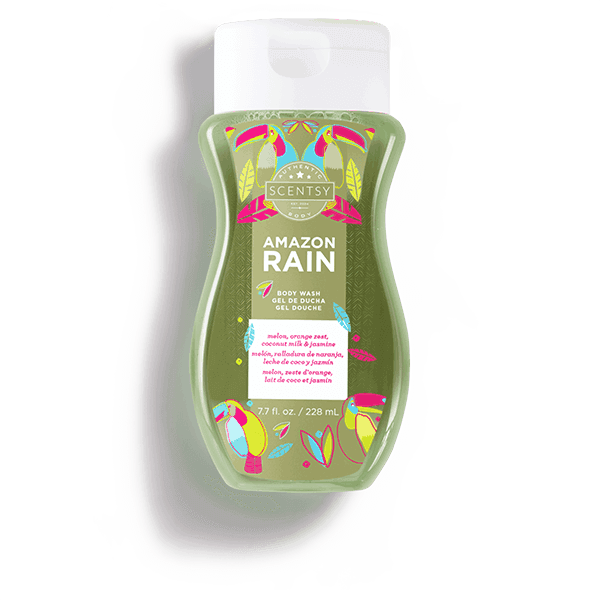 Amazon Rain Scentsy Body Wash – Set off on a rainforest romp swirling with sweet notes of melon, orange zest, coconut milk and sultry night blooming jasmine. 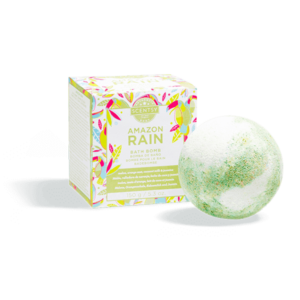 Set off on a rainforest romp swirling with sweet notes of melon, orange zest, coconut milk and sultry night blooming jasmine. Lather. Rinse. Repeat. 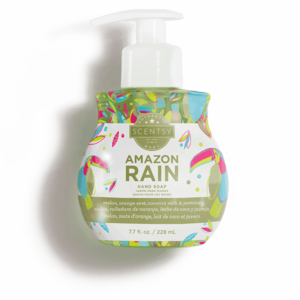 Introducing the ultimate everyday cleanser, with a rich, luxurious lather and skin-pampering sunflower oil and aloe. Paraben-free. 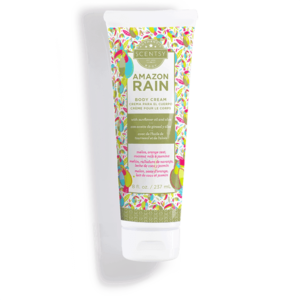 Formulated with Vitamin E and aloe leaf to cleanse, moisturize and smooth skin.